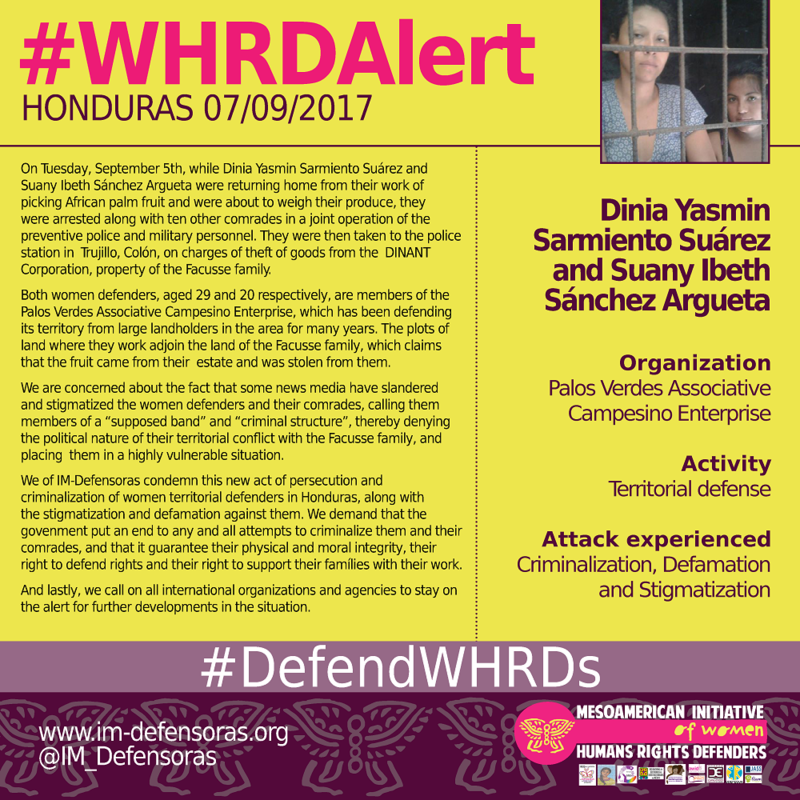 THE FACTS – On Tuesday, September 5th, while Dinia Yasmin Sarmiento Suárez and Suany Ibeth Sánchez Argueta were returning home from their work of picking African palm fruit and were about to weigh their produce, they were arrested along with ten other comrades in a joint operation of the preventive police and military personnel. They were then taken to the police station in Trujillo, Colón, on charges of theft of goods from the DINANT Corporation, property of the Facusse family. Both women defenders, aged 29 and 20 respectively, are members of the Palos Verdes Associative Campesino Enterprise, which has been defending its territory from large landholders in the area for many years. The plots of land where they work adjoin the land of the Facusse family, which claims that the fruit came from their estate and was stolen from them. We are concerned about the fact that some news media have slandered and stigmatized the women defenders and their comrades, calling them members of a “supposed band” and “criminal structure”, thereby denying the political nature of their territorial conflict with the Facusse family, and placing them in a highly vulnerable situation. 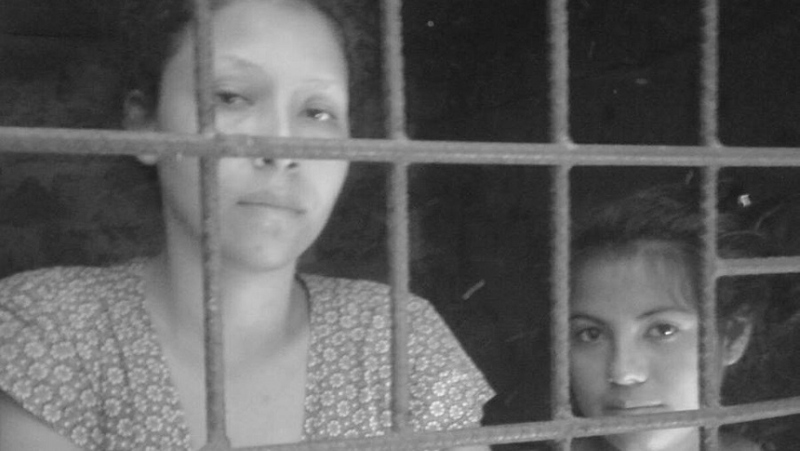 We of IM-Defensoras condemn this new act of persecution and criminalization of women territorial defenders in Honduras, along with the stigmatization and defamation against them. We demand that the govenment put an end to any and all attempts to criminalize them and their comrades, and that it guarantee their physical and moral integrity, their right to defend rights and their right to support their famílies with their work. And lastly, we call on all international organizations and agencies to stay on the alert for further developments in the situation.